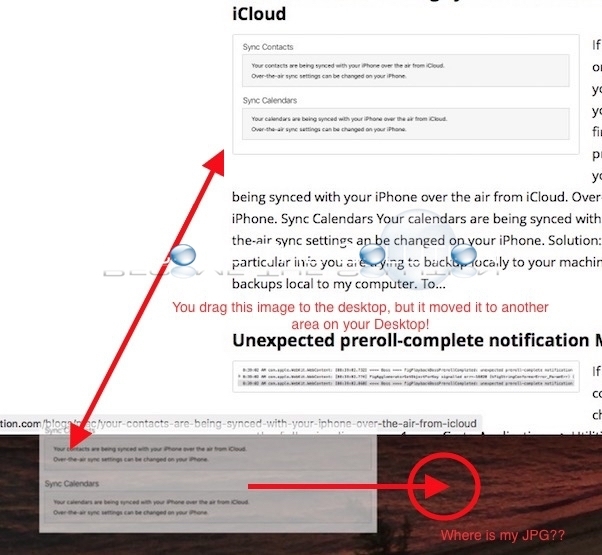 Do you sometimes drag images from a web page off to your desktop (Safari web browser for instance), but the image isn’t where you dragged it too? The image you dragged suddenly snaps to another area on your desktop, leaving you to move any windows you had open around to actually find the image. Super annoying! When you drag the image from a web browser to your desktop, make sure to hover the desktop with the dragged image for about 1 second so the image actually places itself in that location. See screenshot. You drag off an image and release your mouse cursor – but the image is all the way in the corner of your desktop – NOT where you dragged it to! 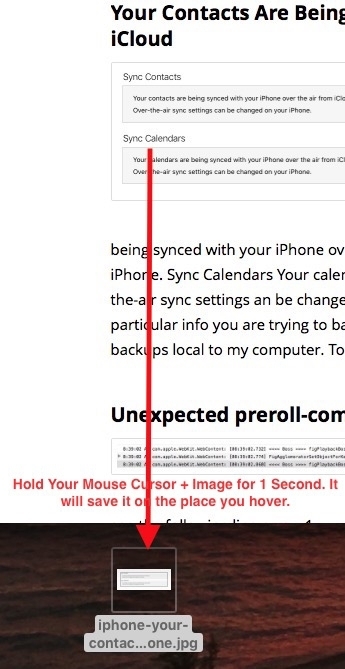 Solution: While dragging off the image to your desktop, hover your mouse cursor for at least once second. Your image will drop in the same area you dragged it to!